Looking for info on paintball compressed air tanks vs CO2? The friendly and knowledgeable staff members at Air Assault Paintball can answer any questions you may have. Paintball is a sport that people can compete in either individually or in teams. The players eliminate opponents from the game by tagging them with paintballs. The sport of paintball has many benefits for those who play it. Teamwork is one of those benefits. Paintball encourages people to work together and communicate in order to win. Individuals come together in teams to develop plans and devise strategies to achieve a desirable result. A few of the equipment used throughout paintball games includes masks, mitts, paintball guns and paintballs, amongst other things. 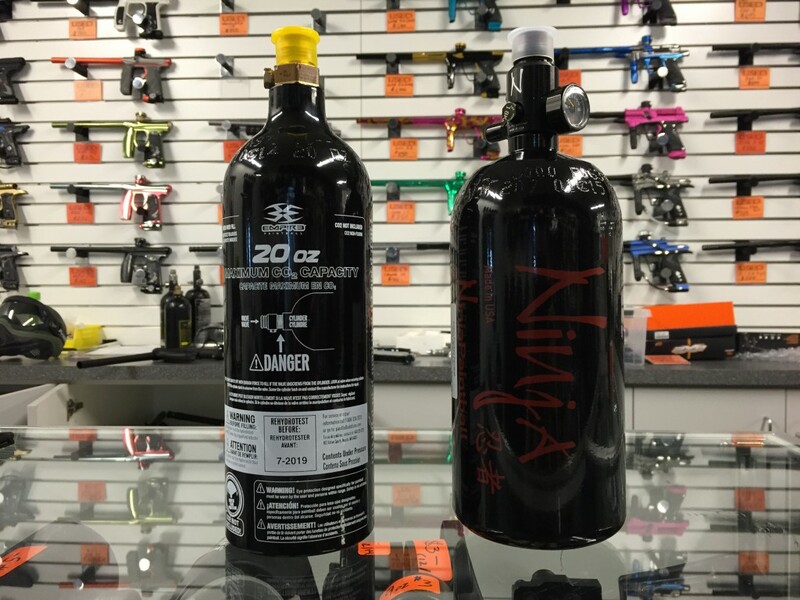 Paintball compressed air tanks are often constructed of steel making the paintball gun just a little heavier than CO2, and paintball compressed air tanks are usually more costly than CO2. Paintball compressed air tanks also help to make paintball guns work more consistently in a variety of weather. Other advantages of playing paintball include the introduction of problem fixing abilities and becoming exercise. Individual gamers may miss they benefits, but problem fixing and workout can take part in the person paintball experience. Individuals interested playing paintball can try calling a paintball place to reserve a place. The guidelines of paintball can differ from game to game, truly the item of the overall game would be to achieve an objective without having to be labeled having a paintball. Frequently occasions, the aim would be to capture a flag. Advanced reservations so please call in advanced to reserve your spot. Walk-on play is also available for those looking to join in on the action without a big group. Please give us a call at 651-222-0300 with any questions you may have or to book your private group spot.